Open to the public and highly encouraged for peers with kickboxing or MMA programs of any type. MKG Seattle has integrated a Savate / Boxe Francaise component into our martial arts offerings over the last 10 years. Professor Salem Assli is one of only a handful of Silver Glove level practitioners actively teaching in the United States and has been our sponsor in this effort. HEADS UP DISCOUNT: Early Bird Special – the first 30 to commit are $130 then the seminar goes up to regular price at $150. You do not need to have ANY experience to participate in this seminar and individuals from other schools with a kickboxing interest are encouraged to attend and learn some new tricks and ideas. IT”S INTERESTING BUT SHOULD YOU ATTEND? Why would you attend if you already do Muay Thai, MMA, Tae Kwon Do or any other striking art? If you already train 2-3 days a week why attend a weekend seminar? Why invest your time, money and resources? If you’re an MKG student the answer is a resounding YES because we wouldn’t bother hosting it if it wasn’t important. This is a seminar where you walk out on Sunday BETTER than when you arrived no matter your art. This is truly a rare opportunity and isn’t widely available in the United States. In Savate the balance between safety but ‘real’ stimulus makes training fun but still challenging and builds skill. You don’t have to get black eyes, broken noses and bruised ribs and shins to learn. In Savate/Boxe Francaise there is an officially accepted curriculum used worldwide that is logical, tested and works. It will really help you if you’re a teacher or trying to improve. Savate integrates punching and kicking in a more sophisticated manner than typical. Enhance your own game! Mastery of footwork, angling and distance is the foundation of the art and can make you harder to hit and your own attacks and counterattacks more successful. 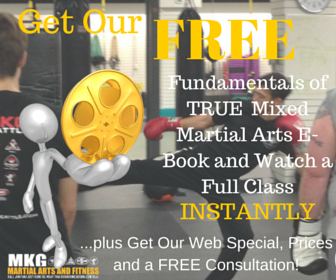 Improve your sparring and fighting ability. The training and progression in Savate stresses live combinations with a partner and boxing gloves over padwork. Essentially sparring drills from day one so it translate directly to competency. Savate, or Boxe Francaise more properly, has two tracks for competition: 1) Technical/Assault and 2) Fighter/Full-Contact. The ‘assault’ or light/technical track does not emphasize knocking out or beating your opponent up rather it rewards the more competent practitioner who expresses the art in a more technically sound and artistic fashion. This means you can spar daily SAFELY and still develop the timing, speed, sense of distance, rhythm and other attributes that you’ll need if you need to apply more contact in a self-defense situation or competition in Muay Thai, MMA or other full-contact competition. Feel free to call us at 206-789-2411 or email us at info@mkgseattle.com with questions. A preview video, seminar details, clash of styles fight and contact us form are below. Don’t worry! We always tell people in advance that we don’t wear the tights! Most of this footage of Professor Salem is from the 80’s and 90’s but this is a pretty informative snippet that will give you a good sense of the combinations, movement, training method and things you may learn. Equipment Needed: Shoes, well padded boxing/bag gloves, notebook, extra t-shirts and water bottle! You will sweat. Savate/Boxe Francaise is a shoe based art and are necessary. Any non-marking, sanitized, smooth soled shoes are fine. Wrestling, cross-trainers, martial arts are all fine. Most will have their own gloves but some are available for absolute beginners. I’ve been taught and stress that all martial arts have something to offer and as martial artists we should ALWAYS be open to learning new things. At MKG Seattle Muay Thai is our base striking art but Savate, JKD, boxing, Panantukan and STX methods all have something to offer and may suit your own attributes, body type or sensibilities more closely. There are no superior styles just superior martial artists at a given point in time under certain circumstances. This is a classic fight between an absolutely legendary Muay Thai fighter in Ramon Dekkers vs. and absolutely legendary Savate fighter in Francois Pennacchio. It’s a give and take fight and both fighters have some of their tools taken away by the rules. (no clinch/knees/elbows for Dekkers and no shoes for Pennacchio) But it clearly illustrates how a superior control of distance and timing can neutralize the power and mechanical advantage of Muay Thai and consequently illustrate how adding more footwork and angling would improve it. Visit our contact us page to request more information about our Savate Training Classes in Seattle HERE or use the form below and we’ll contact you. The option below is recommended only if you’d be interested in training with us at some point in the future.